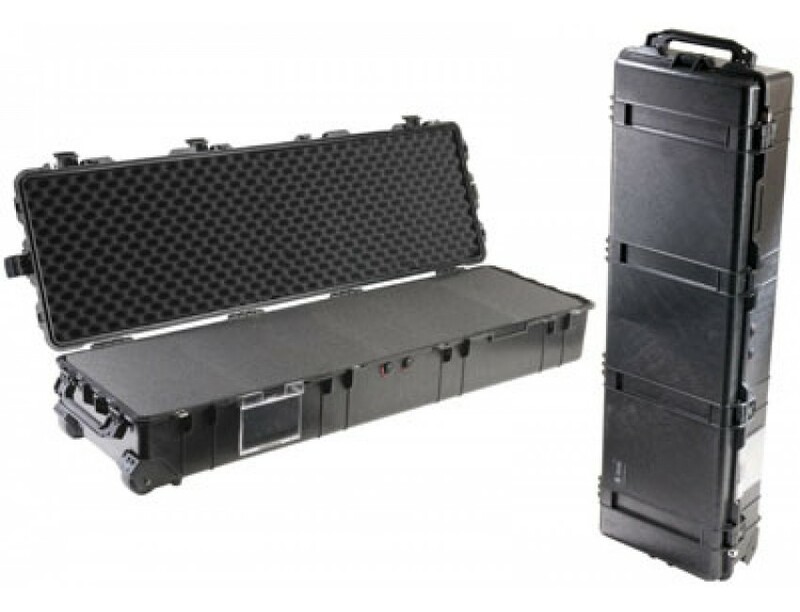 The Pelican 1770 Long Case is an unbreakable, watertight hard case used to carry any kind of equipment that needs to be protected from impact damage. It is made of ultra high impact structural polypropylene that makes it extremely strong and durable. It has a 0.25" (6.4 mm) neoprene o-ring, easy-open, double-throw latches that seal perfectly. It includes an automatic purge valve for quick equalization after changes in atmospheric pressure. The 1770 comes with two (2) haul handles and built-in polyurethane wheels with stainless steel bearings. The padlock protectors provide added strength and extra security against cutting and theft. Its interior dimensions is: 54.58" x 15.58" x 8.63".